Final four: Who will be Limerick’s All Time Great? THE search to find Limerick’s All Time Great moves to a final stage with four remaining candidates and now you must pick a winner. After a flurry of online voting in round two of our polls to determine who is Limerick’s All Time Great, we have the final group of four nominees. From eight polls featuring 16 contestants who were selected from hundreds of nominations and a first and second round of voting that threw up some interesting results we have the final four of Dolores O’Riordan, John Kiely, Paul O’Connell and Richard Harris. 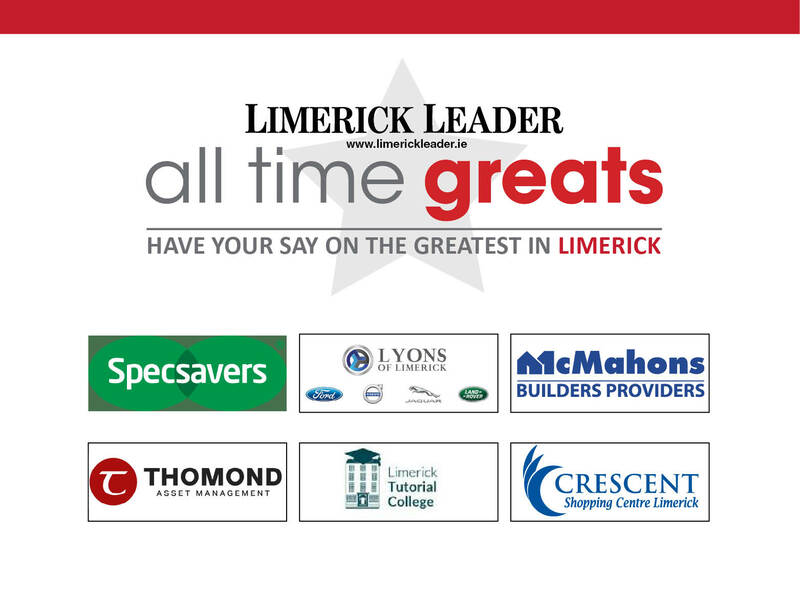 The final poll asks you, the reader, to vote for one winner from the final four and select Limerick’s All Time Great, as voted by Leader readers. The poll will run until next Monday at 1pm, with the winner to be announced later that day.